Meng Hongwei is dual-hatted, head of Interpol and vice-minister at China’s Ministry of Public Security. Expect a public statement soon out of China. I will not venture a guess as to why he is being questioned by Chinese authorities. Chinese politics and certitude of law enforcement are not as clear as in the West. 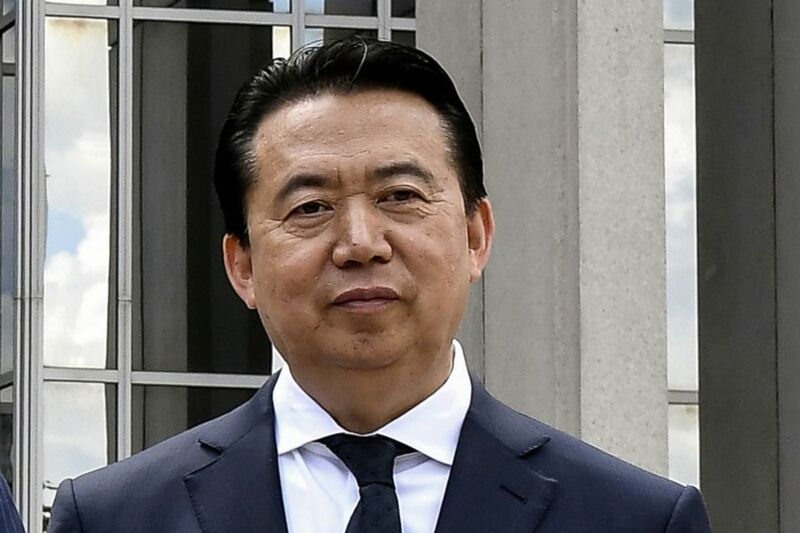 Interpol, which is based in Lyon, said on Friday it was aware of reports of Meng’s “alleged disappearance” and that the issue was a matter for the relevant authorities in France and China. The organisation’s secretary general, not Meng, was responsible for the day-to-day running of Interpol, it said. “Interpol’s General Secretariat headquarters will not comment further,” it said. Meng was last seen in France on September 29, police sources said. Neither the public security ministry nor the foreign ministry in China responded to requests for comment. Under China’s supervision law, a suspect’s family and employer must be notified within 24 hours of a detention, except in cases where doing so would hinder an investigation. It appears Meng’s wife was not informed. It was initially unclear where Meng had gone missing, but a French source said earlier that, “he did not disappear in France”. An unnamed French judicial official had said that Meng arrived in China at the end of September but that there had been no news of him since. While Meng is listed on the website of China’s Ministry of Public Security as a vice-minister, he lost his seat on its Communist Party Committee, its real decision-making body, in April. According to his own page on the site, Meng’s last official engagement was on August 23, when he met Lai Chung Han, a second permanent secretary of Singapore. Meng was appointed head of Interpol in 2016. He was due to serve until 2020. His appointment caused concern among academics and human rights advocates, who feared he would abuse Interpol’s powers to forcibly repatriate Chinese dissidents and fugitives. Interpol is the world’s largest agency facilitating police cooperation, with 192 member countries. While it can issue international alerts for wanted persons, it does not have direct power to issue arrest warrants. In 2014, it issued red notices – requests to provisionally arrest a suspect pending extradition – for 100 Chinese fugitive officials living overseas. In April 2017, under Meng, Interpol issued a red notice for Chinese fugitive tycoon Guo Wengui at Beijing’s request. The public red notice list on the organisation’s website currently includes 44 people wanted by China. During a speech at the 86th Interpol General Assembly in Beijing in September 2017, Meng talked about the importance of international cooperation in combating cybercrime.